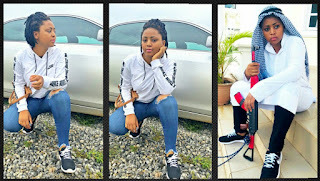 The wife of Oritsefemi, the double Wahalacrooner, Nabila Fash has taken to her Instagram page to respond to lot who branded her an ex-prostitute. 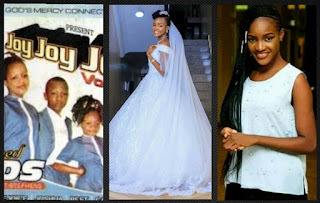 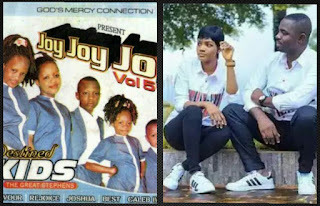 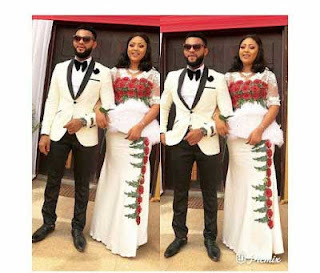 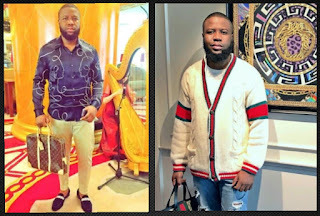 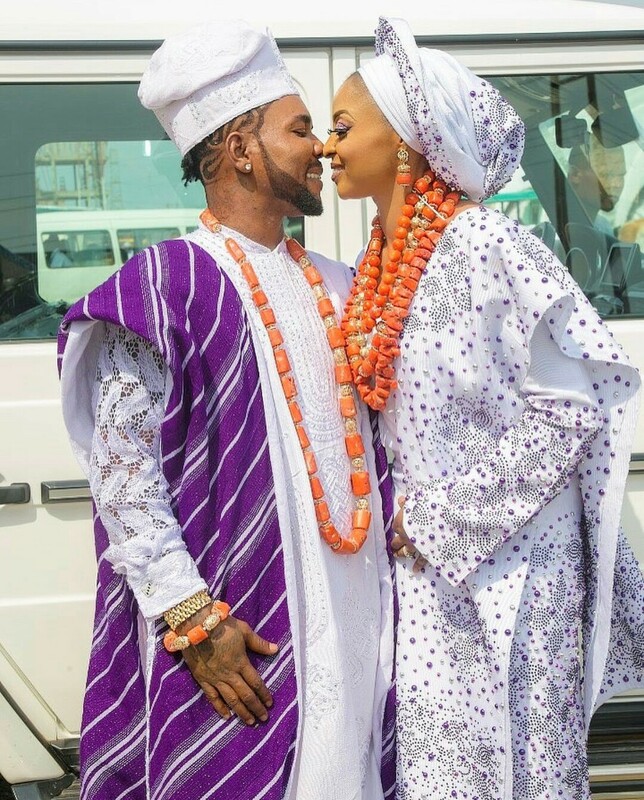 This drama commenced when her husband, Oritsefemi, went on a long rant yesterday, throwing shade at top artistes, Wizkid and Davido over their December concerts, and claiming that his wedding drew more attention that the two concerts combined. 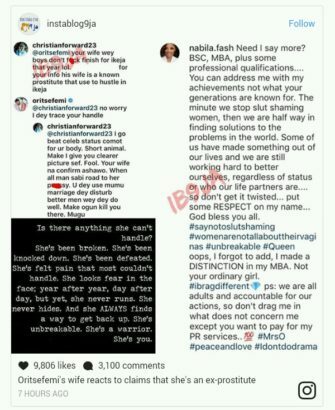 Although, a lot of fans called out Oritsefemi, but some disgraceful lots chose to insult his wife by branding her an ‘ex-prostitute’.